Looking for a multi-purpose WordPress theme with a beautiful design? Freesia Empire is here to fulfil all your theme needs. Designed by the Themefreesia, Freesia Empire is a free responsive and feature packed theme. 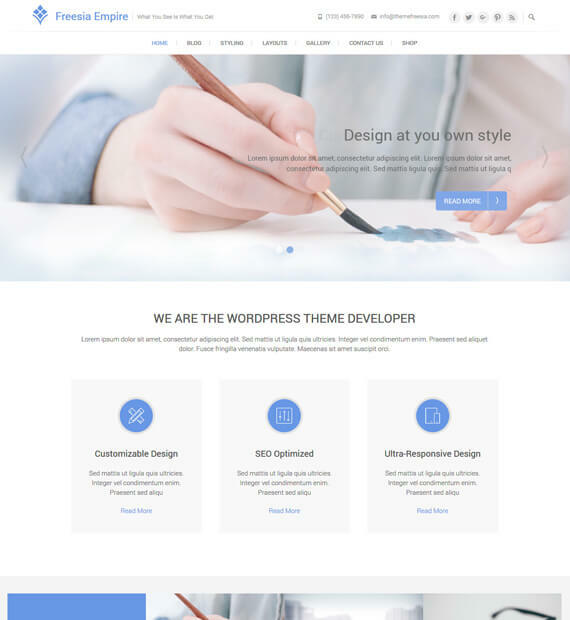 Clean and elegant design of this theme makes it perfect for any type of theme that you wish to create. Other interesting features that the theme features include- SEO friendly and retina ready design. The easily customizable options that you can edit will make the whole process of creating easy.